Peter Van Geit loves to run. And that’s how he has been exploring India for the past 18 years. 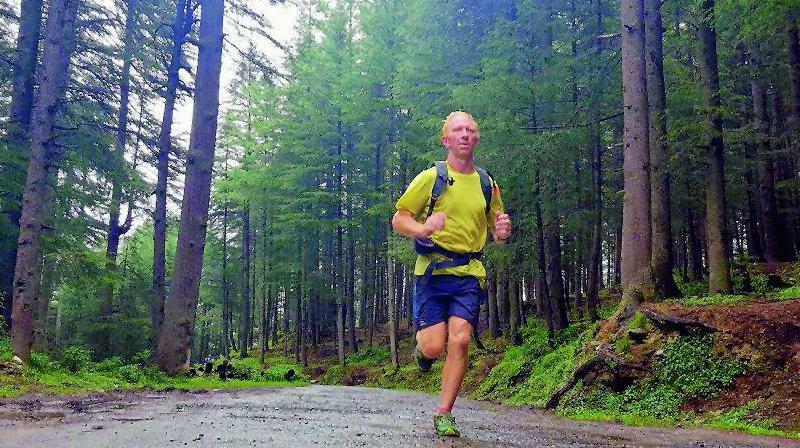 Last year, Peter ran over 1,000 km in the Himalayas and there was a 500-km run through Ladakh. Have you ever travelled abroad for a short holiday? And did you ever think that one day you’ll make that place your home? There are just a couple of reasons why people take that one-way ticket to a foreign country. A project manager at an IT firm, Peter Van Geit — from Belgium — arrived in Chennai on work, in 1998. It has now been close to two decades and the city has become home. “I never really saw myself settling down in India. One of the joys of spending time in another country is that you slowly become a part of it and over a period, one of its people. The attention to detail is heightened and we make a concerted effort to understand and fit in until we become one with our new location. What I have seen and felt and heard in each of these places has made me who I am today. It’s good to challenge yourself and be adventurous, scare yourself once a while — it makes life less dull. Our choices are half chances and so are everybody else’s. When you go with the flow and let the road ahead just unfold, there’s no reason to be regretful. You just make the best decision you can and in the end, the journey becomes the adventure.” adds Van Geit. And his ability to run amidst nature, through a country that was not originally home, also shows how much strength even the unknown can sometimes offer.